Flowstopper: IntelliJ IDEA: add Project Files to Version Control? 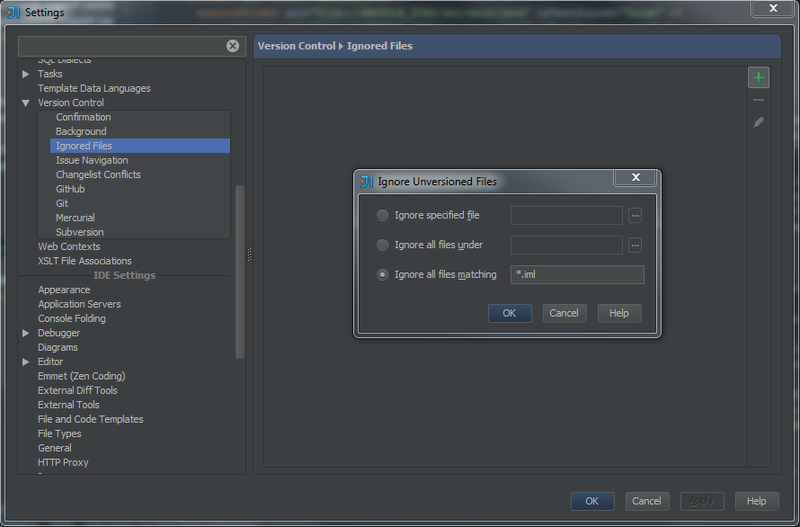 IntelliJ IDEA: add Project Files to Version Control? Do the contents of the .idea project folder and the .iml module files belong into version control? What are the drawbacks if I don't share these files? None, from my experience. When doing a fresh checkout of a project, IDEA asks whether I'd like to create a new project. Yes please, and all files are generated correctly. For the time being we keep IDEA files out of the VCS. Our projects are usually multi-module maven, with lots of iml files. Your mileage may vary.